Over the coming months I will be writing a series of articles about Neuro Linguistic Programming (NLP) – and how it can help with weight management, both physically and mentally. But what is NLP and why would you even be interested in what it can do for you? Neuro refers to the neurological makeup, the nervous system, which is most of our body. Our experiences and memories are stored in the nervous system and the way they are stored will dictate how we think and feel about them, and what behaviours we generate. Linguistic is all about communication, on all levels, including the words we say and think to ourselves. Only 7% of the communication is the words, but they are important to pay attention to, and sometimes to change. Our language should always positively reflect as closely as possible the goals and desires we wish to have. Programming is about learned behaviour, and not turning ourselves into robots. We are born with certain things hardwired, like language acquisition and mobility. But things like writing, driving cars and playing music are essentially add-ons or programs which – unlike The Matrix – are acquired and developed over time. The way we create or program new behaviours is by combining our thoughts, actions, feelings and recall of past experiences. We are bombarded with information all day long. Our phones, TVs, adverts everywhere, social media ‘opinion’, shop fronts, radio, there is so much going on all around us. If we were aware of it all it would drive us mad, so we filter things down to a manageable level. The filters do three things; they delete things, distort things and generalise things, to suit our beliefs, values and attitudes – all of which can be changed through NLP techniques. While reading this you were probably not that aware of the feeling of the clothes on your body, or other sounds around you, or what your left hand feels like. This is deleting information. Some people have an image of themselves that is distorted, such as body dysmorphia, thinking they’re ugly or fat or thin etc. I have met many people who are underweight, anorexic even, who see a fat person when they look in the mirror. As incredulous as it may seem for some, it is the picture they actually ‘see’, and they are distorting their reality. Media and adverts are very guilty of projecting an idea of how we should be, and there can be pressure to conform to the generalized image projected. It is possible to start thinking thoughts like “everyone else is thin and healthy” or “I’ll never sort this out” – these are generalizations about the world. Notice they are not necessarily true but we hold them to be so. There’s a part of you that I call the Unconscious Mind. When you go to sleep at night, you don’t worry that you will forget how to breathe, or keep your blood warm and at the correct pressure. Similarly you don’t know how you interpret random black marks on a white background, call it English language, and find meaning in it, or how you vibrate your neck and move air across it to make a vibration I call language. Your Unconscious Mind is responsible for these things and many, many more. It operates out of a set of defined directives – such as preserving the body and storing the memories – and does its best to carry out the instructions it receives from us. The trouble here can be that we may inadvertently give it instructions that, if we thought about it, we probably wouldn’t have given. Then, having not realized we have issued one of these ‘inadvertent’ orders, we promptly forget we did it, and this makes the problem harder for us to spot at first without help. Let me give you an example so you can see how this process can work. I had a client that came to me because she was going to have a job interview in two weeks and she knew she was going to panic and fail. I asked was she sure this was going to happen and she said yes. Now personally if I could tell the future, I’d be making a lot more money! I asked could she have the panic a couple of hours after the interview, and she thought I was weird. So when I asked could she have it the night before the interview while she was asleep, she thought I was even crazier. But here’s the thing – I thought she was crazy for being determined to have that negative experience, set into the future in such a precise way that it would only happen in a very specific time frame or else it wouldn’t have the effect. So I asked her how she was going to do it, and calm as anything she said she would wake up feeling awful, and then she would say to herself that she knew she would wake up feeling like this. Then she would think of all the questions they could ask her that would lead her to feeling like this. Then she would cycle this around while she got up and made a coffee, and by the time she left to go for the interview she’d have amplified it so much she knew she was going to panic and fail. That was her ‘job interview program’, matter of fact. The short story is we made it so she woke up feeling fantastic, full or energy, excited and motivated. And then she would say to herself that she knew she was going to wake up feeling like that. Then she would think of all the questions they could ask her that would lead her to feeling like this etc… So the program itself wasn’t far out, just the feeling she was planning to take into it. In case you’re wondering, she sailed through the interview feeling great, got the promotion and the wage rise to go with it. In terms of weight management, there are a couple of caveats. 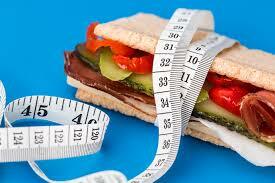 Firstly there are a number of medical conditions which CAN but DON’T HAVE TO lead to weight gain. And there are certain drugs that also may or may not have weight gain as an effect, such as antipsychotic medication. Most people are not in this category though, and I am not writing about that category in this article. Is the target weight specified, measurable, achievable and realistic within a specific timescale you are setting yourself? Do you want to achieve this for yourself or because someone else is pressuring you into it? Have you looked for other ways you can achieve the target weight that you haven’t thought of yet? Are you prepared to do whatever it takes to hit the target weight? NLP can help with all the above processes, so you are fully prepared beforehand and supported throughout the process, and have all the skills to maintain the results afterwards through embracing a lifestyle change and enjoying the benefits experienced. Under natural circumstances, one of the things the Unconscious Mind does is to regulate and optimize the body system, including weight. But habits form and can over-ride that natural balancing act. Many people overeat and think they cannot control those urges, or are simply unaware of the amount of snacking they do, or choose unhealthy snacking. Others go through cycles of eating unhealthily and then feeling bad or thinking negatively about themselves in some sort of self-fulfilling prophecy. There are many things you can do though to combat this and create new behaviours, which become healthy habits, which in turn replace the unhealthy ones. One thing that surprises many of my clients is just how much they distort what goes into them. The simple answer to that is a phone app called myfitnesspal. Enter everything that goes into the body and find out exactly what is happening. A lot of people don’t consider the alcohol intake as significant, and how many nuts is a couple of handfuls? Most people live sedentary lifestyles so as a rule of thumb, to maintain weight, most women need about 2000 calories and most men need 2400. To lose weight therefore you need less – maybe 500 under this figure. Good news is vegetables are mostly very low calorie, so you don’t have to be hungry or miserable about it. Coupled with this is to look at calorie expenditure. Sitting on the couch is unhealthy in a number of ways. It certainly doesn’t burn the calories off, but this can seem daunting at first. Images may spring to mind of thin people in gyms, and it’s easy to be put off the effort. But simply walking to the shops each day is a start, or a walk in the park, or even to the end of the road and back at first. But consistent effort is king (or queen). Remember – realistic and achievable. It has to be something you can maintain, rather than do a bit and give up. There are plenty of online ways to guestimate the calories burned. You may burn 100 going to the shops and back, 350 gardening or gently cycling for an hour. Jogging or swimming may burn 550 an hour, and martial arts and other strenuous activities may burn up to 1000. Using a calculator online you can work out your calorie burn rate. The next step is to start making the calorie output greater than the calorie input. What I mean by this is if you’re needing 2000 to maintain average weight, but you eat 2700, you need to lose more than the 700, and this is done by cutting calories in and also increasing calories out. Going below the 2000 will make weight loss start to happen. NLP can be used to effectively to change mindset about the process, to eliminate unwanted limiting beliefs and limiting decisions made about self and others. It can help set realistic targets and steps to achieving it, and hold you accountable to the plan. Also, it can eliminate negative emotional content from the past, or help with becoming motivated, to feeling good about the process, to focus on the benefits and the gains to health and longevity. It can even help turn up the metabolism to burn more calories. Are you ready to take up the challenge to make a shift in lifestyle choices, rather than pay homage to a fad diet? Are you ready to monitor and be aware of everything that goes in? How about making a pact with yourself, to start moving more to spend some calories? Are you ready to move towards a longer and healthier future? If the answers are yes to most of those questions, then make some simple plans today for how you want to be in a year’s time from today. Make it realistic and achievable, and then be prepared to play at 100% for the goal you have. Future articles on this subject will include how to avoid comfort eating or snacking, mindful eating, changing mindset, letting go of guilt and other related negative emotions, and preventing slipping into old habits at the first sign of failure.